One way I’ve been learning and growing the last 7 years is to immerse myself in documentaries. Learning is a key part of my Leadership B.E.A.T. Model and the ‘B’ part is for BRAIN – which incorporates your mindset, psychology but also learning, education and growth. This documentary will really blow your mind. In a very simple way it explained the nature of reality from quantum physics and the principles of entanglement, to how we are each shaping our own realities. Really easy (ish) to follow and totally mind blowing! A massive hit when it was released back in 2006, and popularised the concept of The Law of Attraction to the masses. It has it’s flaws – namely committing the fact that you need to work to make it work, but a great movie nonetheless. Check out my explanations on The Law of Attraction here. This is the first of a trilogy. The others being Addendum and Moving Forward. In this documentary the three main themes are to shed light on religion, the financial machine and even the 9/11 attacks in the USA. It will really shift your thinking and expose you to some new ideas and concepts. This refers to DMT (Dimethyltryptamine). A molecule that occurs in plants and animals and most predominant in humans during birth and death. It’s why it’s referred to as the “spirit molecule” as it allows the spirit to enter and leave the body. By taking DMT or ayahuasca (a plant medicine taking in a ceremony with another plant which allow DMT into the body and a alternate state of being to ensue), you can access “realities” and knowledge that you can’t otherwise access. Most people that experience DMT or ayahuasca are changed (for the better) after taking it. This is not so much a documentary, but you can find online some lectures (and book by the same name) by Dr Bruce Lipton. Essentially it’s highlighting the field of epigenetics. The new field of science that is showing that despite having a particular genome (blueprint of the body), you are not your genes. The environment is what decides whether the blueprint is read, and how it is read. That means, even if you have certain genes for diseases, it’s not a forgone conclusion that they will develop (in all but the most minute of cases). Will really put the power back into your hands when you understand epigenetics. This documentary (on Netflix) comes from Dr Steven Greer, who for years has championed The Disclosure Project to encourage governments to release what they have on UFO’s. There is overwhelming evidence in support of UFO/Alien visitation with even people like former President Jimmy Carter and Apollo 11 astronaut and second man to walk on the moon Buzz Aldrin making appearances in the documentary. You will think about UFO’s in a new light, I’m sure. 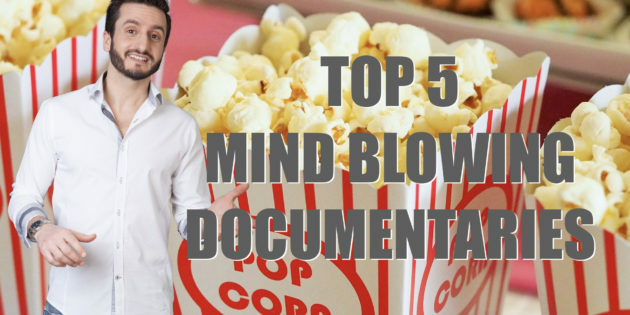 There are plenty of other cool documentaries to expand your awareness. I’ll be listing some top health ones soon, but in the meantime, which documentaries really shifted your thinking that we should be aware of? Comment below.